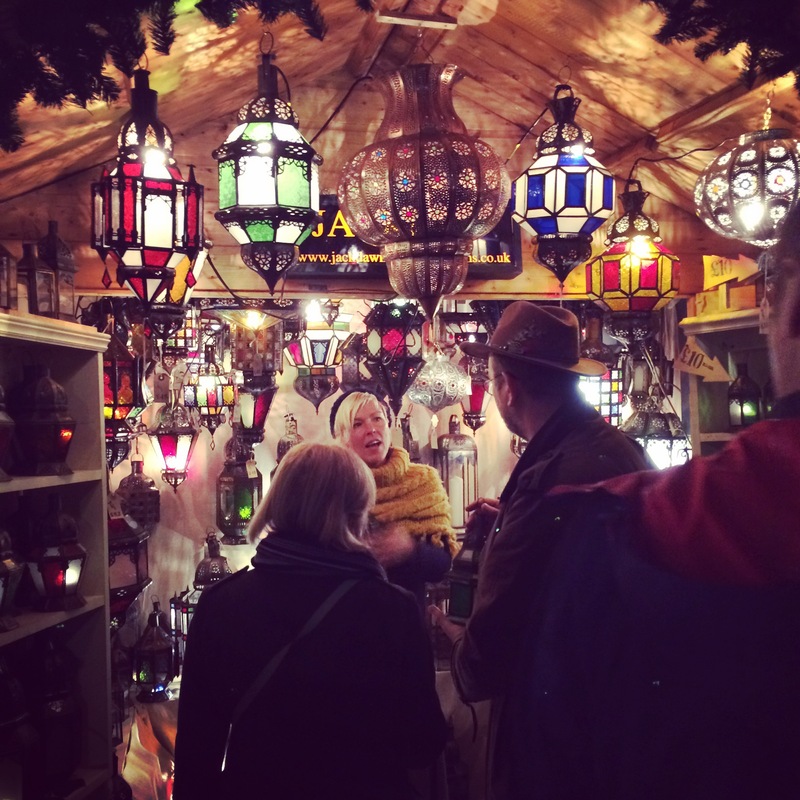 Postcards from England: Christmas 2016 — Markets at Bath | Oh, the Places We See . . .
← Fall is for travel — and here we go again! Glowing in the dark, Christmas Markets at the base of Bath Abbey. After a whirlwind tour of France and England these last two weeks and with so much to do before we celebrate the holidays ourselves, we’re offering you, our readers, small glimpses of the English holiday season rather than lengthy posts for the next few days. We’re calling them “postcards” since we’ll share one or two pictures each day — of decorations or markets or holiday color — ’til the 25th. Here’s hoping these daily glimpses of seasonal sightings in England — some splashy, some subtle — will put you in the spirit of the holidays and transport you to a land where charm abounds. From us to you: Christmas 2016 Postcards from England! 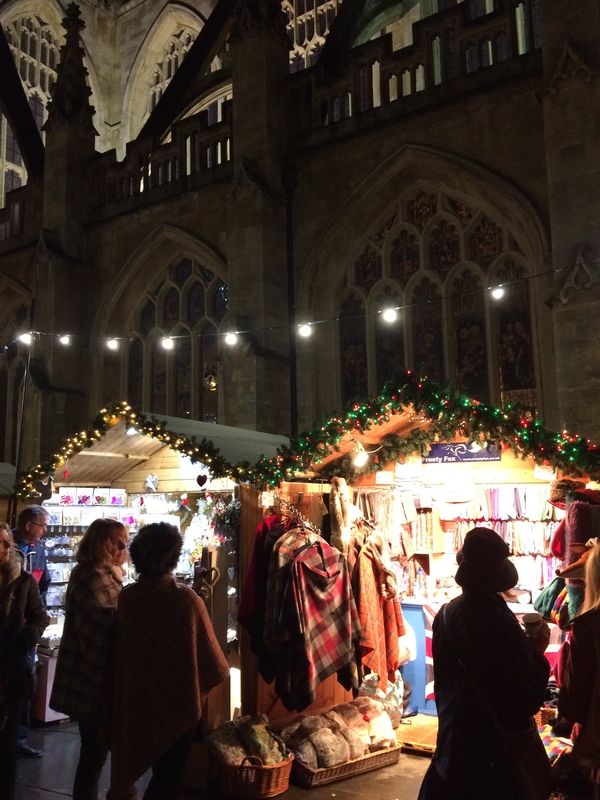 At the base of Bath Abbey, Christmas Markets glow in the dark. Over 170 wooden structures house crafty things, imported goods, handmade items, or whatever the vendor wants to share with you. We loved the markets for color and charm, for unique qualities of workmanship or just for what the vendor wanted to share with us. And we were content to look, listen to the exchanges, and purchase a little — as we sampled life in England at Christmastime. The glow of Christmas Markets, Bath, England. Dried fruit covers this stall selling only items made with — you guessed it — dried fruit! Come back tomorrow for another postcard. Merry Christmas! This entry was posted in England, Europe, Postcards from England: Christmas 2016, Travel and tagged Bath, Bath Abbey, Christmas Markets, Christmas2016, England. Bookmark the permalink. Wow! Christmas in England! Thanks for sharing with us! You are so welcome, Dawn. 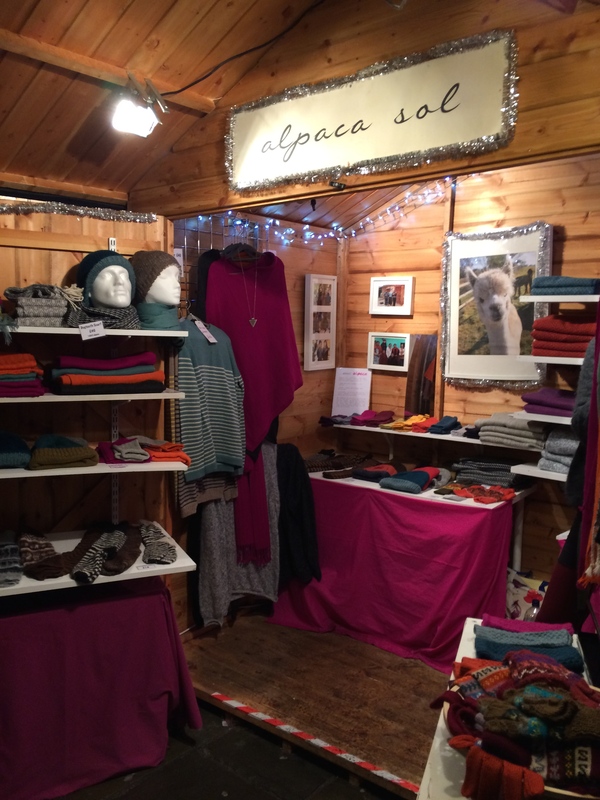 I loved the magic at every turn — from glitz at the department stores to subtle, tasteful wreaths in the Cotswolds. Almost makes you feel like a kid again! Beautiful! You betcha. We did feel kid-like! In fact, we asked the boomerang demonstrator to do it again and again. Then we bought two boomerangs. It remains to be seen if we can make a go of it! Best wishes for happy holidays! Making me nostalgic for our home back in the UK. 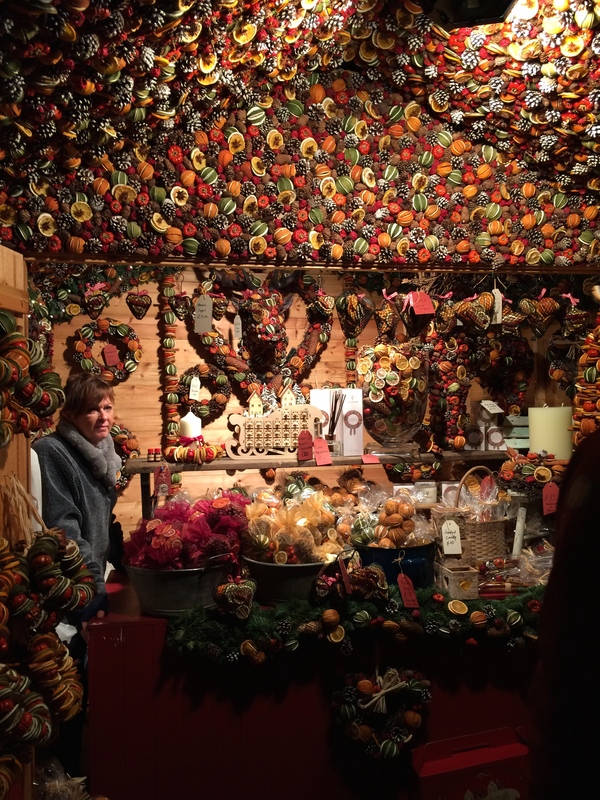 Being here in Greece means we miss out on all these holiday markets! Looks like you have having a grand time in England. Don’t miss Oxford – the covered market this time of year is spectacular with all sorts of game hanging from hooks outside the butchers and the cheesemonger sells the best seasonal cheeses from around England. I’d love to live a while in England, especially the Cotswolds, so we could visit and explore more. We had to miss Oxford so that’s definitely a destination for next time. Hope your holidays are wonderful! Thank you for sharing, Rusha and Bert. And thanks for arranging to have us at the Manor House this week—a wonderful setting. Martha, it was our pleasure to host this year, and we may be doing it again next year. So glad to see you and Jim, two of our favorite people! Best wishes for happy holidays! It would be a great spot for a market, there in front of the abbey. 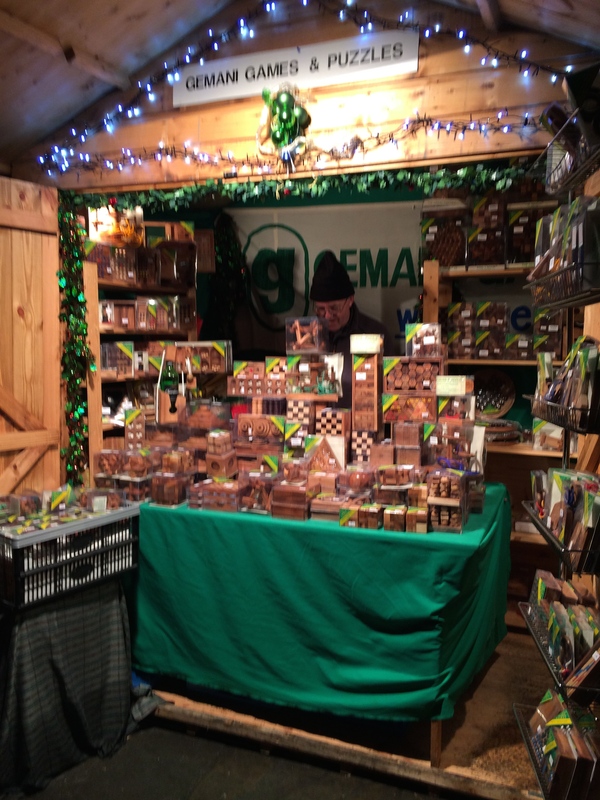 I’ve been to the Christmas markets in Manchester which are next to the town hall and a few close by streets. They’re a lot of fun but sooo crowded! I know what you mean. These had reasonable crowds, and we could shop. But the ones in Paris near the Champs-Elysees, forget it! Packed! Thanks so much. I’m still not adept at night photography, but you all got an idea of what we saw — and it was lovely!!! Wonderful but half of your photos are cut off in the new WordPress Reader! So glad you told me about this and included the link which led me to see what they’re up to. Not right. But is there anything I can do about it? You are so right. My favorite was the dried fruit booth — totally covered even in on top with merchandise! Beautiful pics! I’ve been there. It’s amazing!